Sucralose (E955) presents as an important food additive and good substitute of sucrose as customers and food manufacturing industry are driving by a more healthy way of living and efficient performance. It is an artificial and noncaloric sweetener about 600-650 times sweeter than sucrose, 3 times than aspartame and acesulfame potassium, 2 times than sodium saccharin. It has the similar taste as sucrose. At present, more than 120 countries and regions approved the usage of sucralose in food, health care, pharmaceutical and cosmetic industries. The Joint Expert Committee on Food Additives (JECFA) approved it as GRAS (Generally Recognized as Safe). 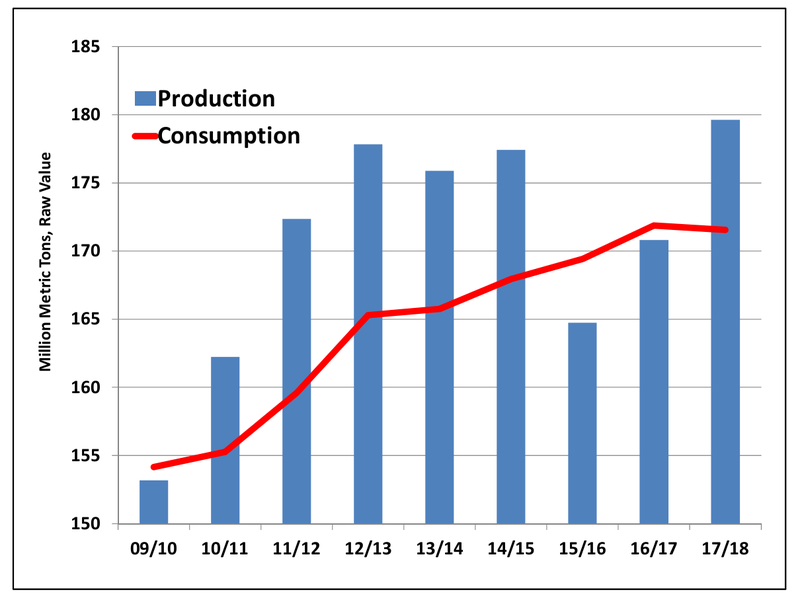 According to the statistics of USDA, sucrose production in Global production for marketing year 2017-2018 is up 9 million tons (raw value) to a record 180 million on gains in Brazil, China, the European Union, India, and Thailand. The consumption is relatively flat and at 172 million tons. In China, during the 4th quarter of 2016, sucralose price was increased 100%. Recent years, the cost of Chinese local sucrose is high, therefore its production is slightly dropped, while the consumption of sugar is increasing. Marketing year 2015-2016 the annual gap of demand and supply was 5.9 million metric tons, which was 50% of the Chinese sucrose production. Part of the consumption is shifting from sucrose to sucralose and the potential of sucralose market is promising. Common international brand names of sucralose-based sweeteners are Splenda, Zerocal, Sukrana, SucraPlus, Candys, Cukren, and Nevella. Common Chinese brand names are Jinhe and Huayang. Jinhe has capacity of 500 metric tons and the capacity is increasing. Please follow OKCHEM.COM for sucralose supply and market information.